Are you at least 17 years of age? Are you free of cold or flu symptoms? Are you currently taking any antibiotics? Have you recently traveled to the Caribbean or a malarial region? If you have ever been nervously sitting in the waiting room ready to give blood, you’ve probably half-heartedly skimmed through these questions while second guessing whether having a needle stuck in your arm is really worth a little bit of good karma. Although the tedious preliminary questionnaire seems like the perfect excuse to back out of your good deed and go volunteer at a homeless shelter instead, the questions are indispensable to ensure a safe blood transaction process for both the donor and the recipient. There are two questions however, that have recently been the cause of controversy not only in the United States but in several other countries across the globe. For male donors: had sexual contact with another male, even once? For female donors: had sexual contact with a male who has had sexual contact with another male? I know what you’re thinking, did we suddenly time travel back to the 1980s? The HIV/AIDS epidemic might no longer be front page news, but this ridiculously outdated and discriminatory restriction on blood donation is still a part of every blood donation eligibility form in the United States. The worst part is that most of us aren’t even aware of this issue, nevertheless have any plan to try and abolish the restriction. It wasn’t until Wednesday, when France announced their plan to lift the ban that prohibited gay men from donating blood, that the topic even reached the headlines. In 2016, France will have joined several other countries that have realized the absurdity of this ban, and have found less discriminatory alternatives that still maintain the safety of the blood donation process. France, the United Kingdom, the Netherlands, Australia, Japan and New Zealand have all passed legislation that calls for a 12-month deferral period between a male’s last sexual encounter with another male and their donation. The fact is, even this restriction is unnecessarily discriminatory, since scientists have proven that the window period for HIV is much shorter than a year. But at least there are steps being taken to lessen the negative stigma associated with homosexuals and HIV/AIDS, which is more than can be said for the United States. Gay marriage and adoption rights have been topics of discussion among legislators and citizens of the United States for quite some time now, but there are smaller battles to be fought before these larger topics can even be properly addressed. 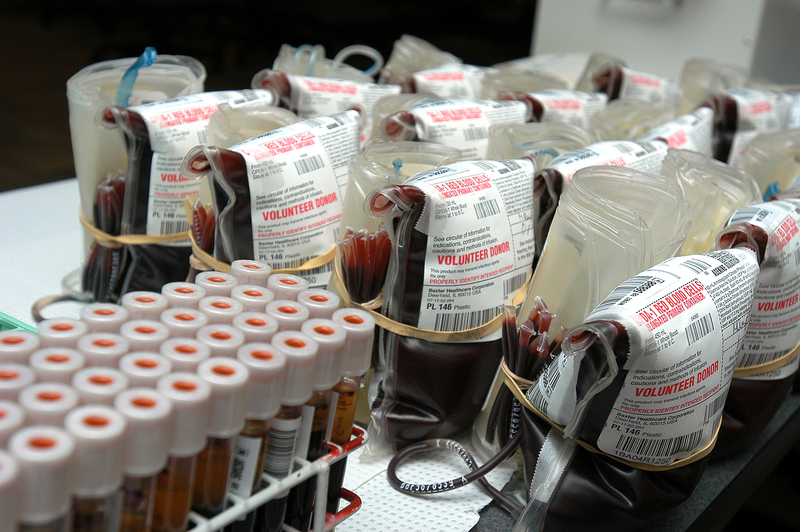 These smaller issues are obscure for most citizens, and unlike the controversial “moral duty” to rule or not rule on gay marriage, the restrictions on blood donation by gay men has hard scientific evidence that would be much easier to present in a court. We are so caught up in making monumental changes, which, don’t get me wrong, are definitely necessary, that we are overlooking smaller everyday issues that over time will work toward the resolving the larger problems. Baby steps America, baby steps.